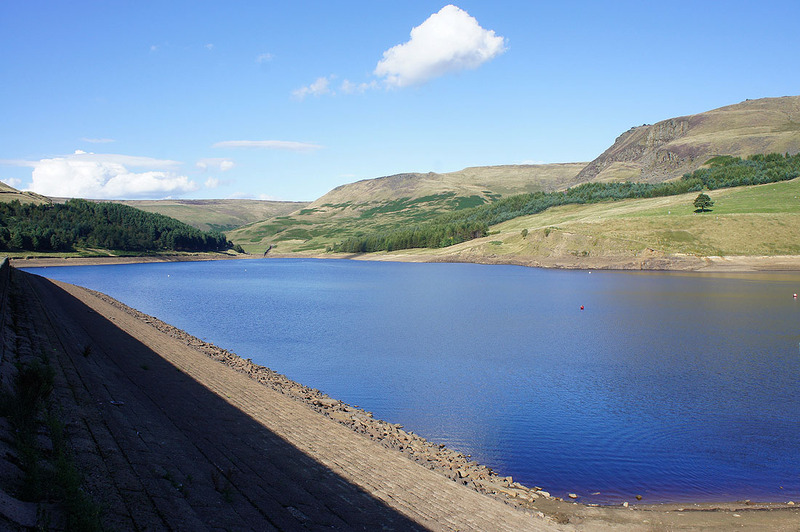 I parked in the car park at Dove Stone Reservoir. 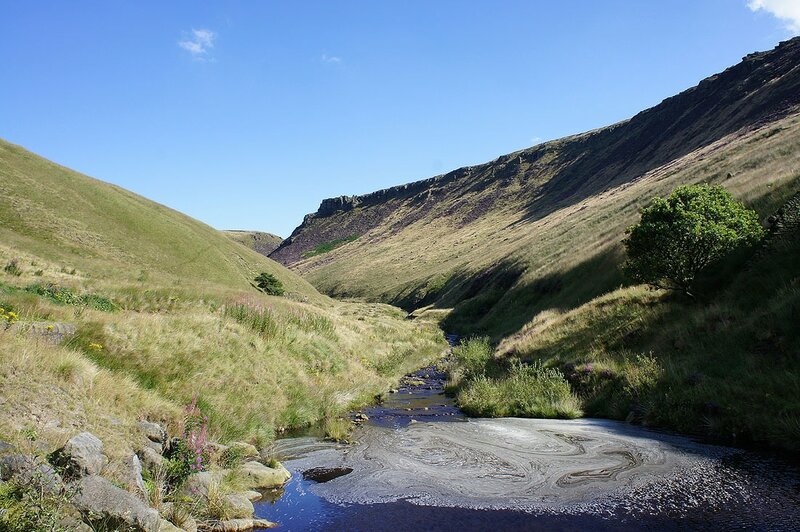 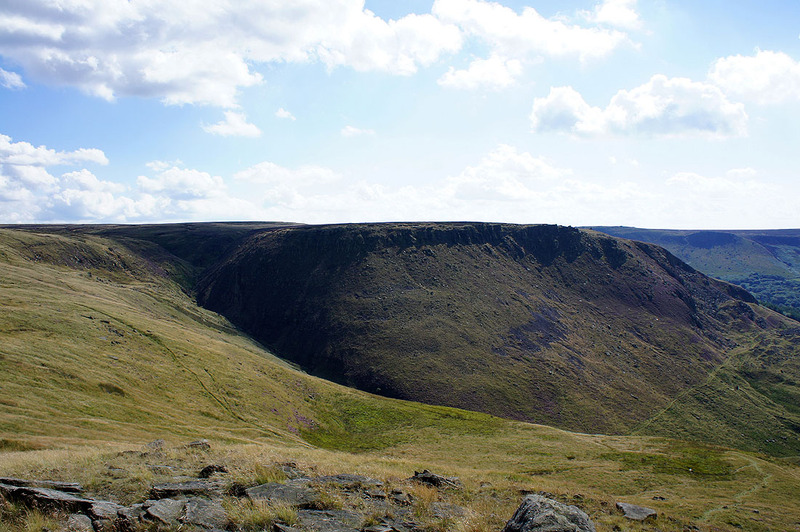 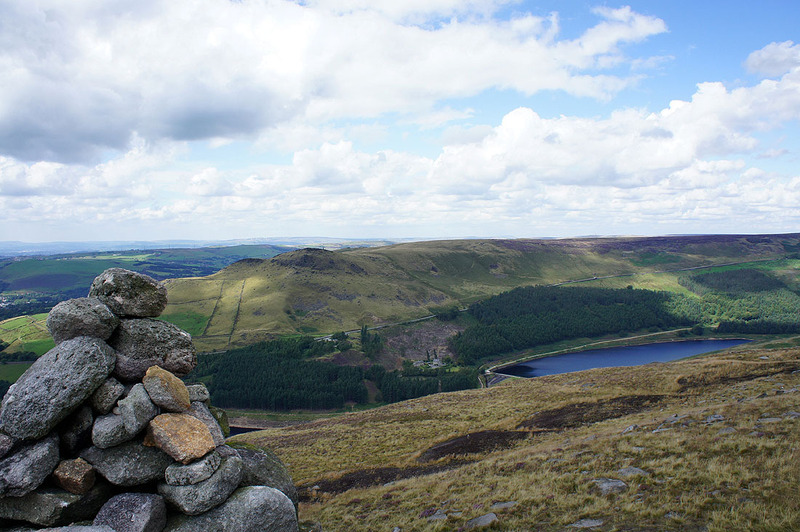 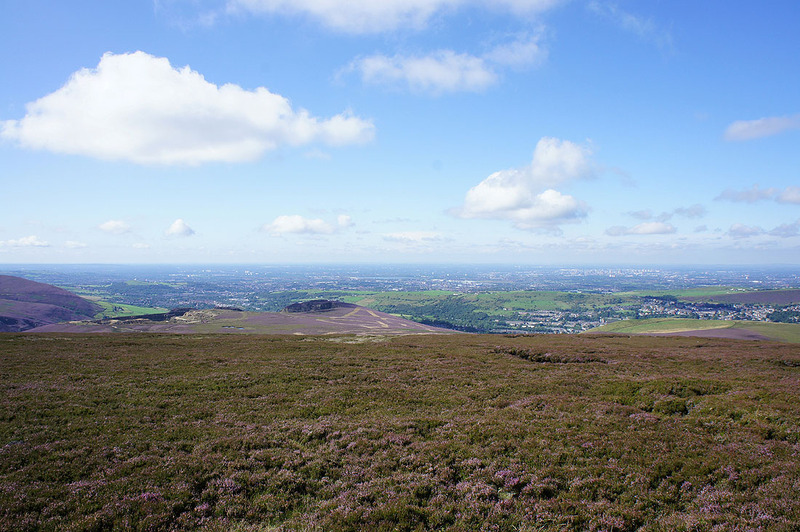 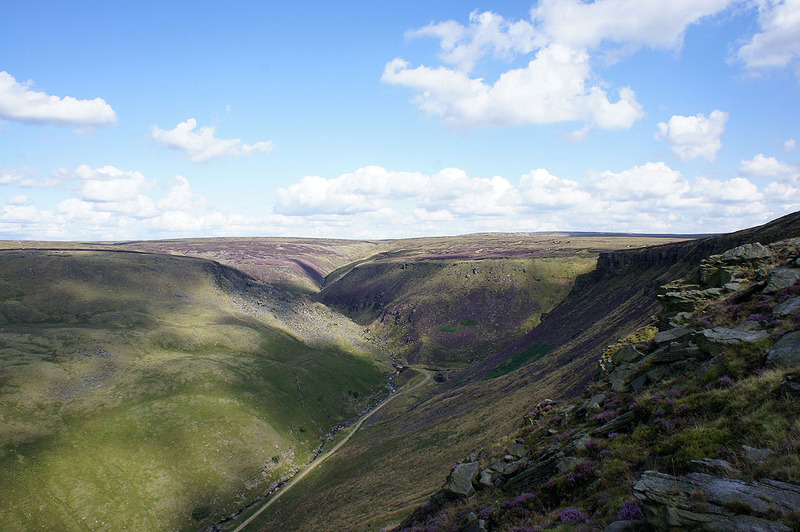 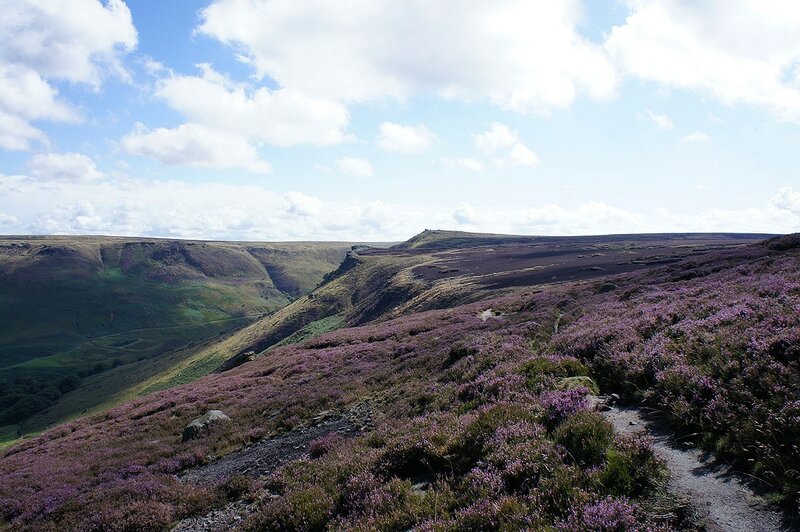 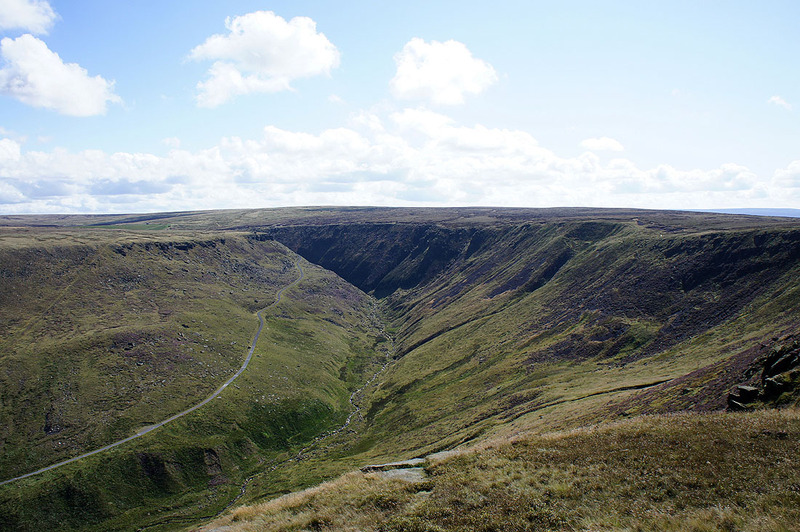 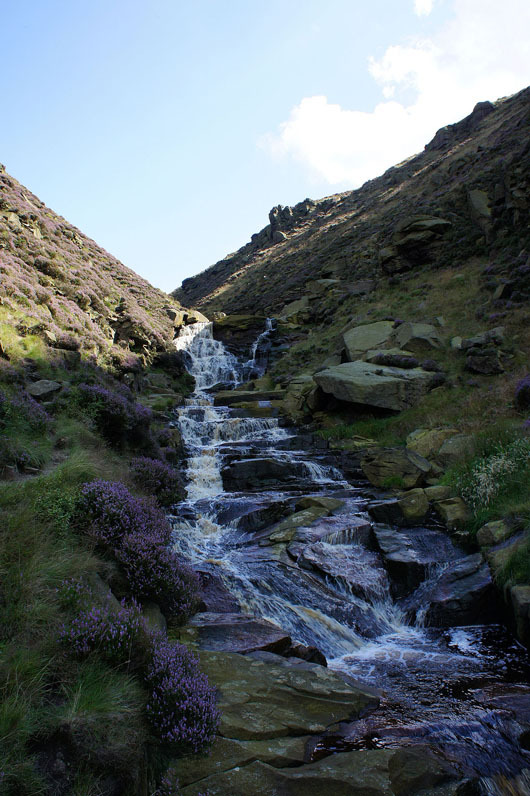 From there I walked along Bradbury Lane and Intake Lane before heading up to Alphin Pike through pathless heather. 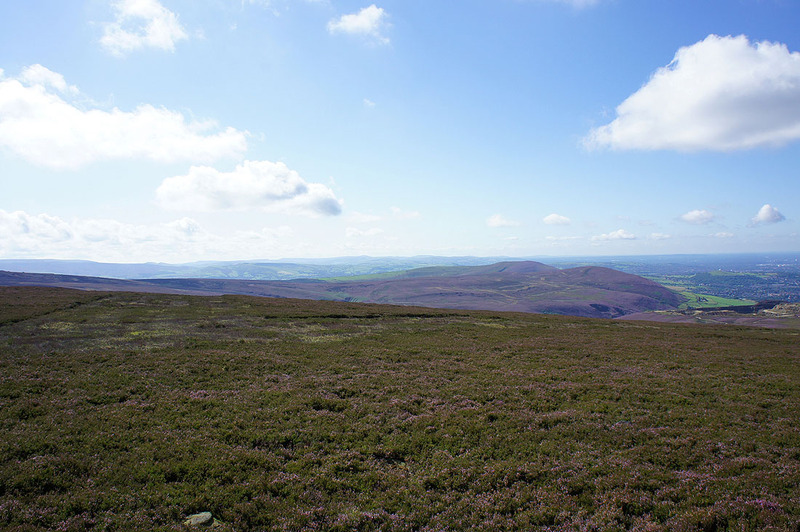 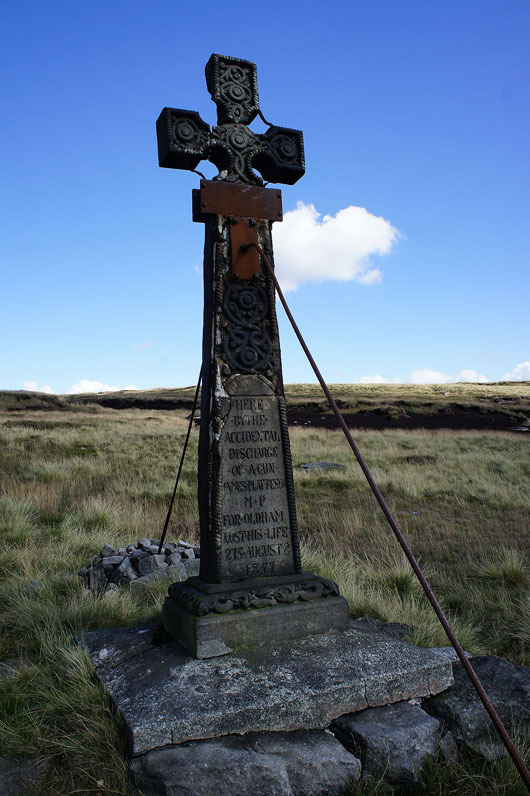 I then walked along the brow of the hill past Wimberry Rocks and above the valley of Chew Brook to Chew Reservoir. 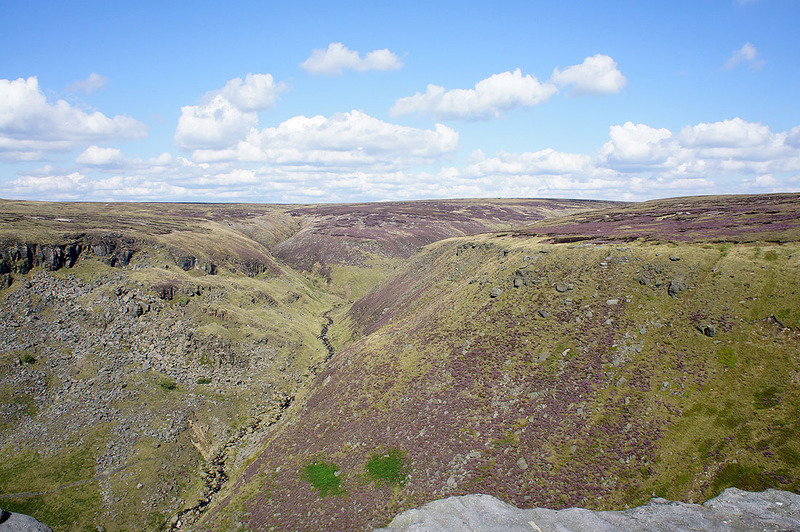 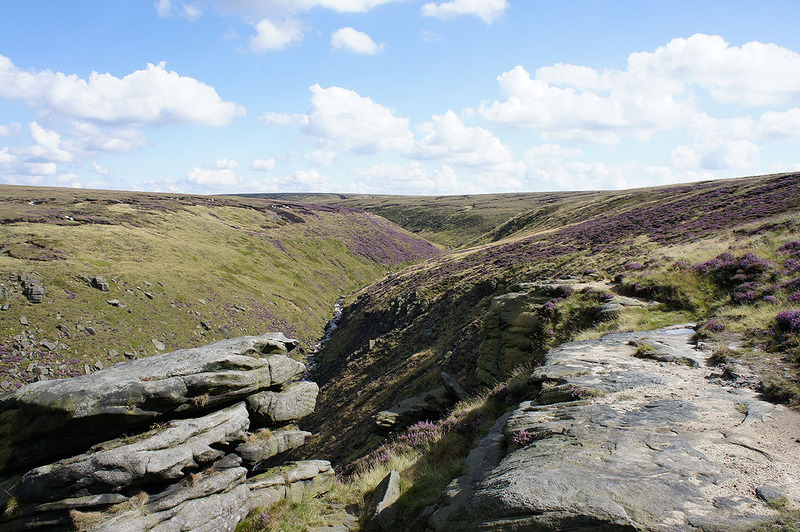 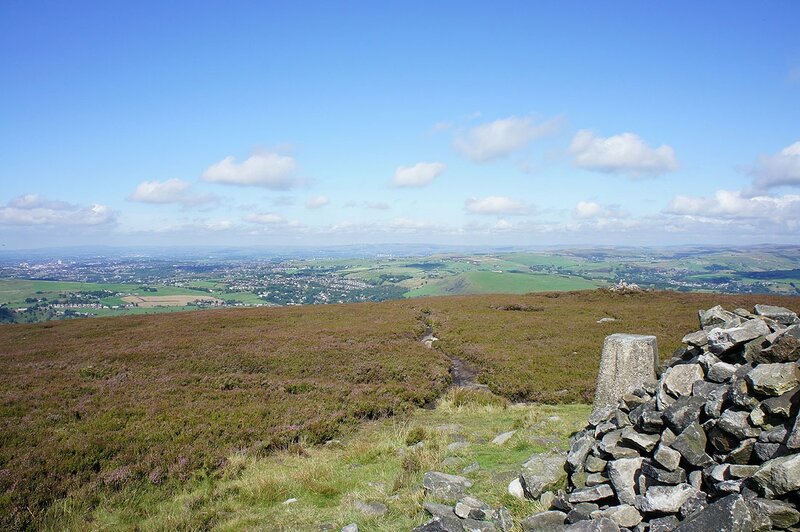 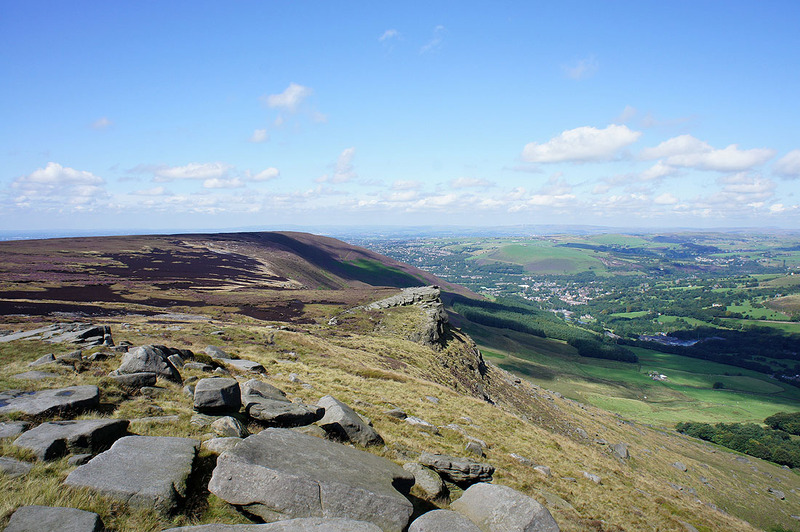 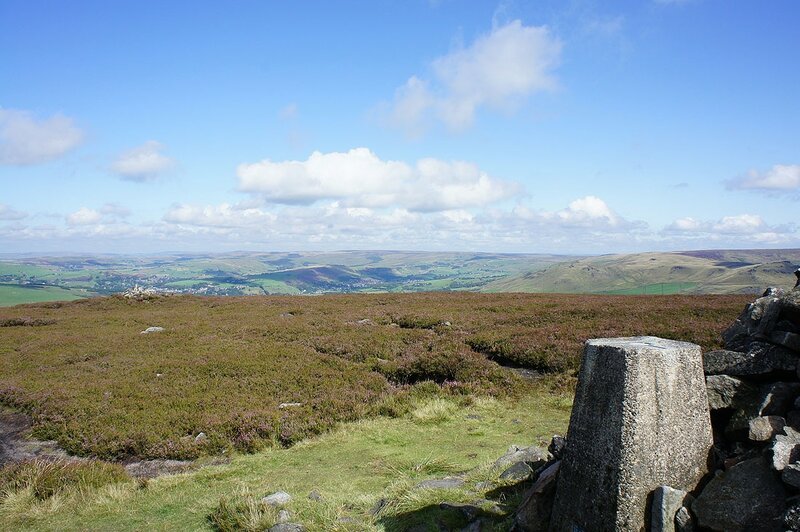 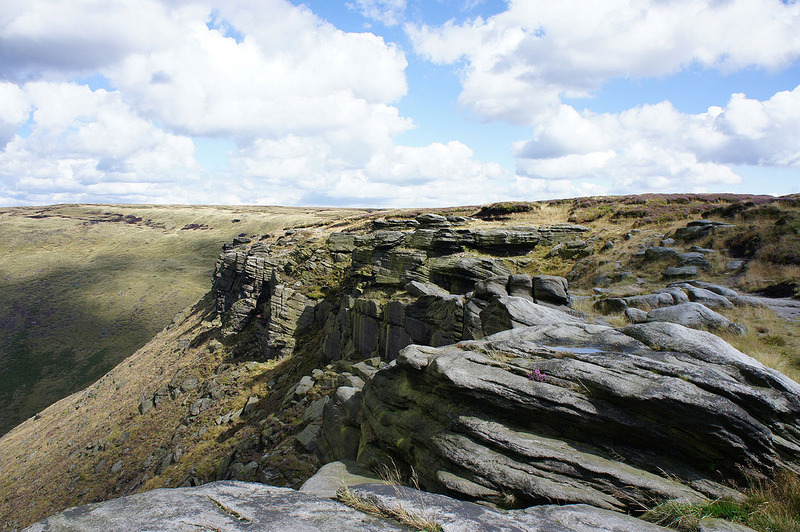 I then followed a path above Dish Stone Brow around to the Fox Stone and Dean Rocks. 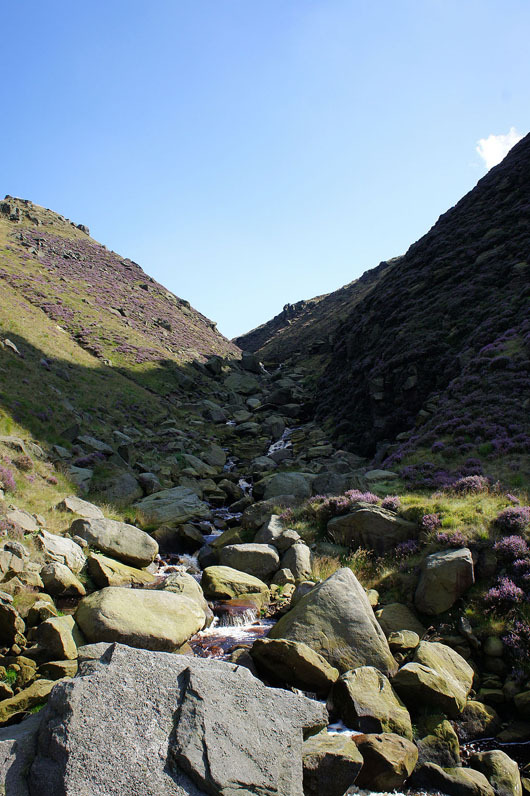 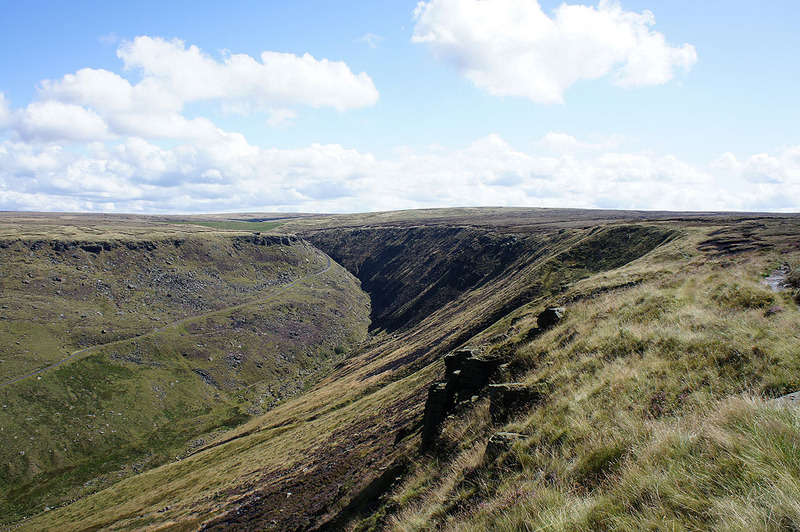 Ashway Gap was then crossed on route to Ashway Rocks and Raven Stones. 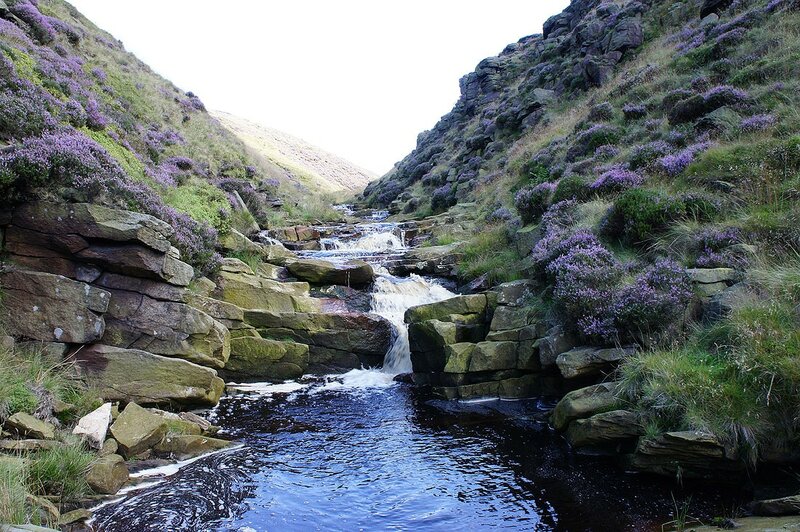 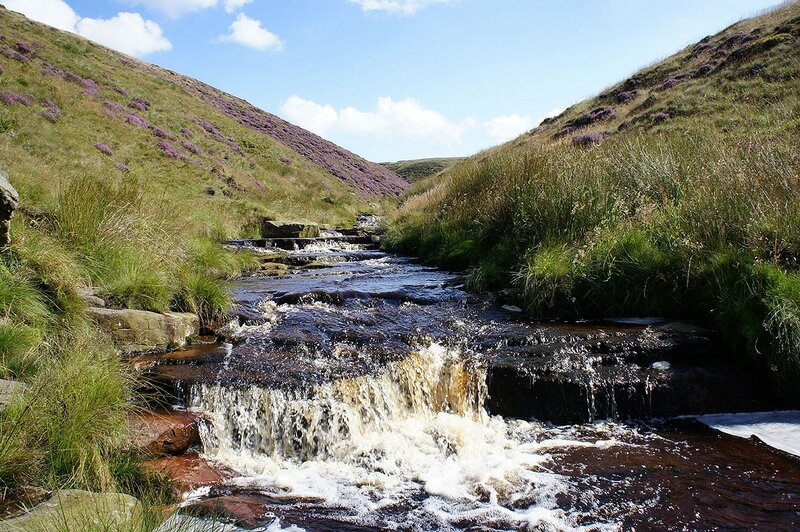 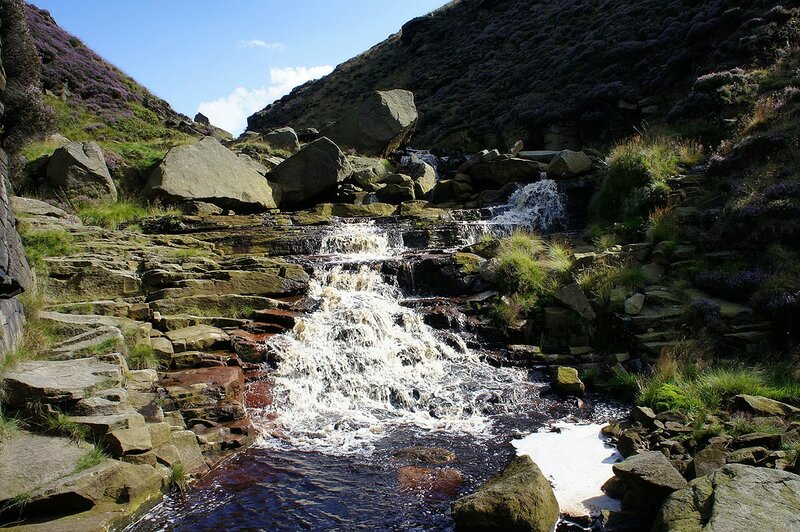 From Raven Stones I made my way down into Birchen Clough, which I followed down to Greenfield Brook. 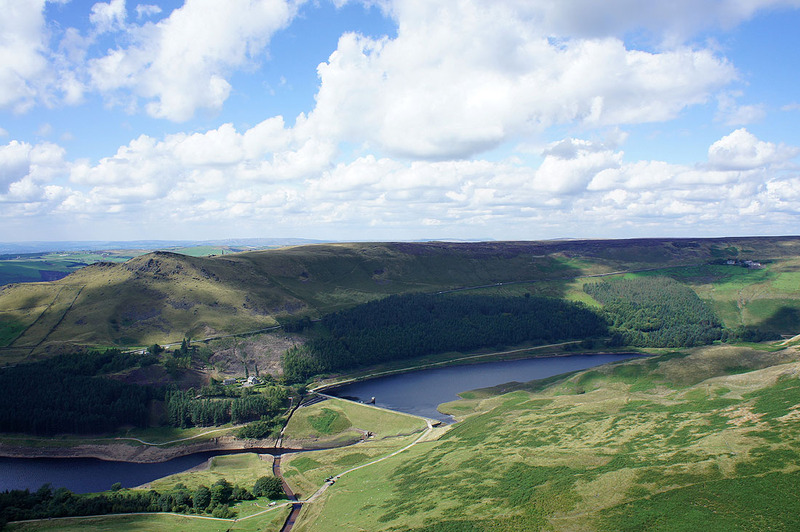 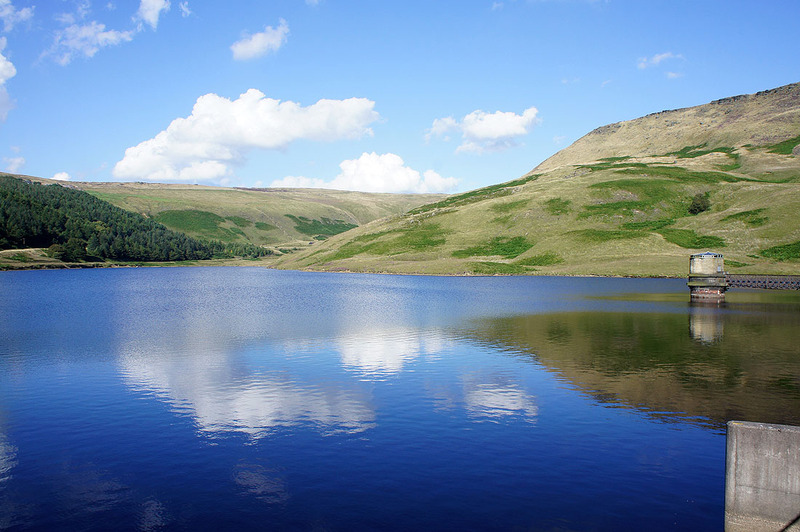 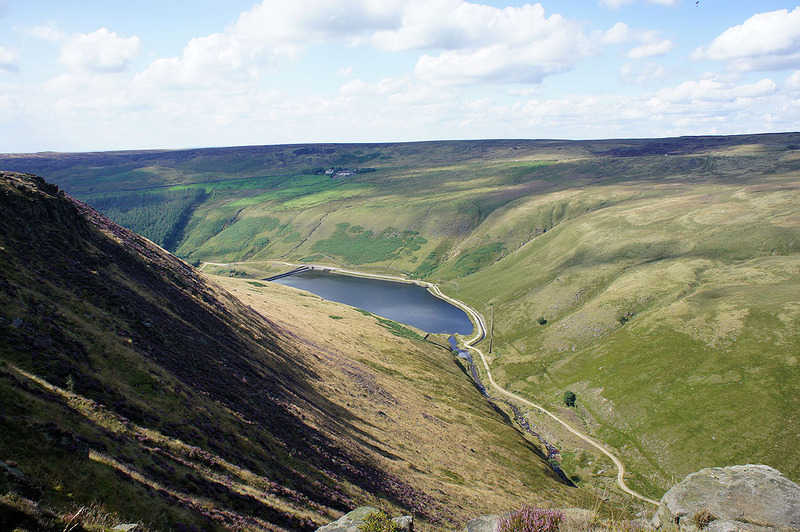 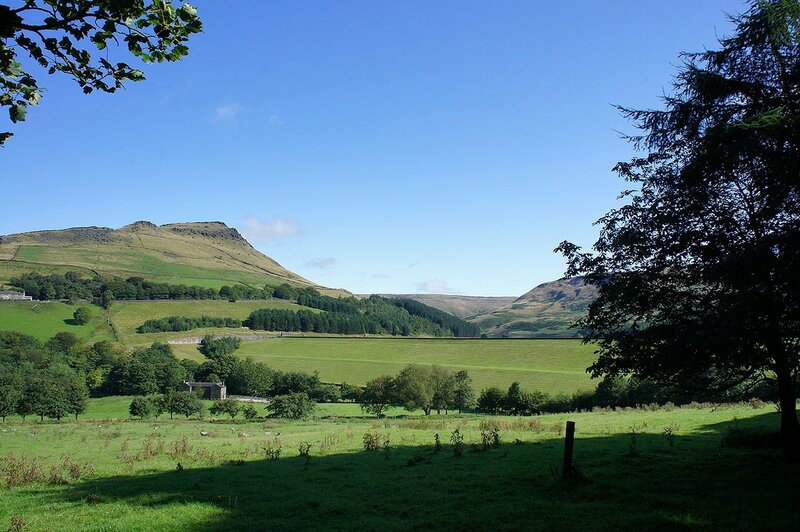 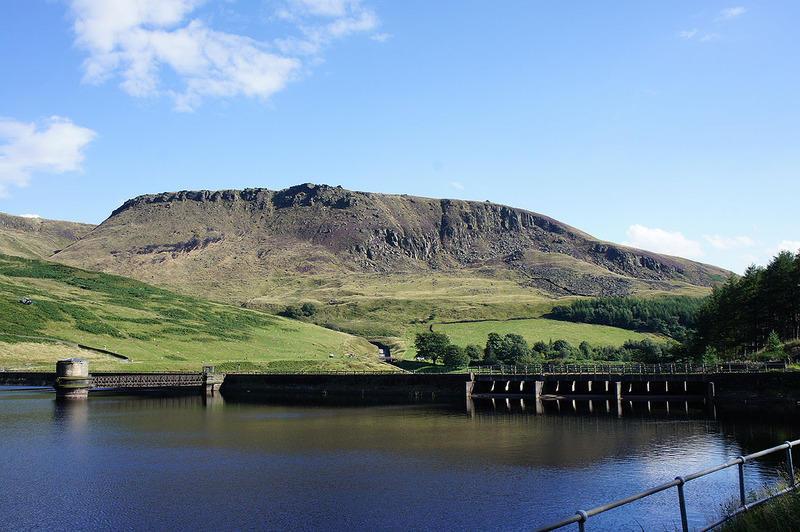 I then followed a track down past Greenfield, Yeoman Hey and Dove Stone Reservoirs back to the car park. 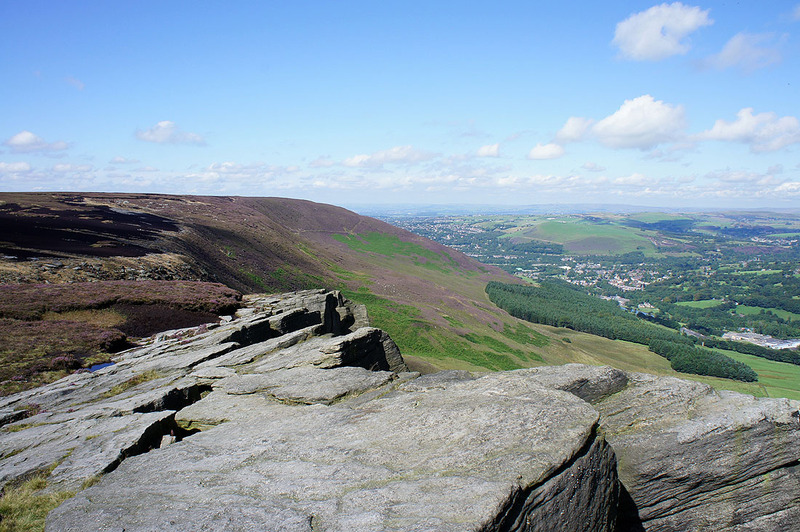 Near the top of Alphin Pike. 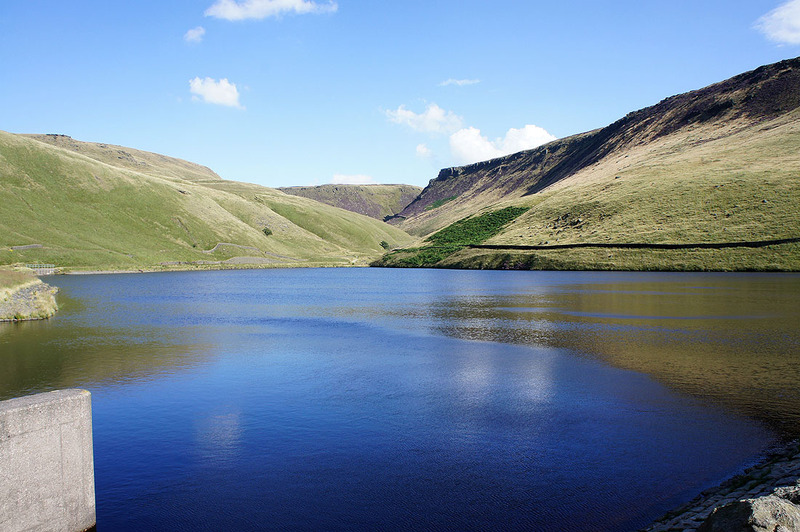 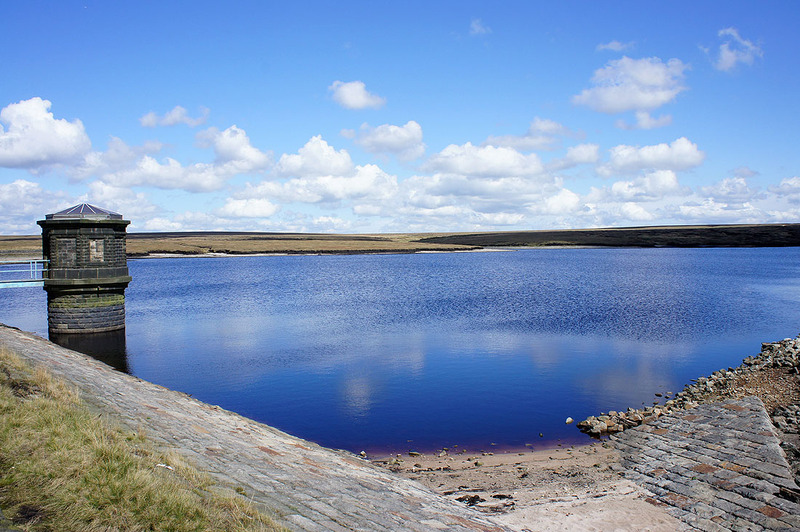 Dove Stone Reservoir below. 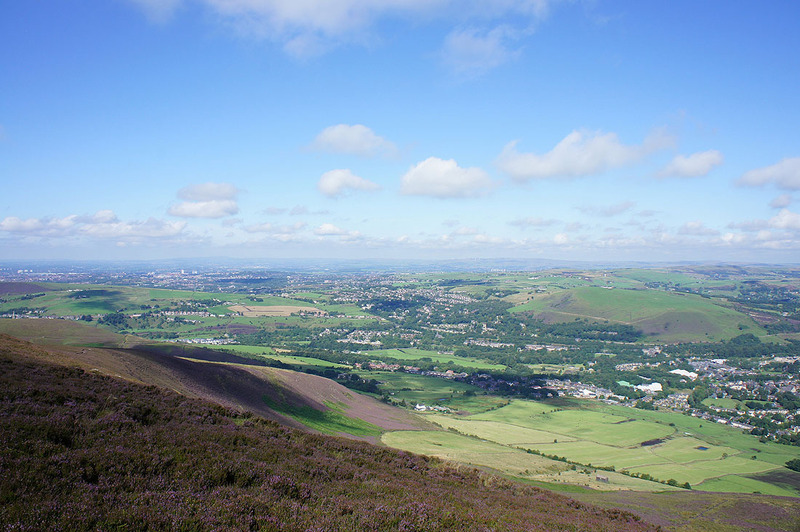 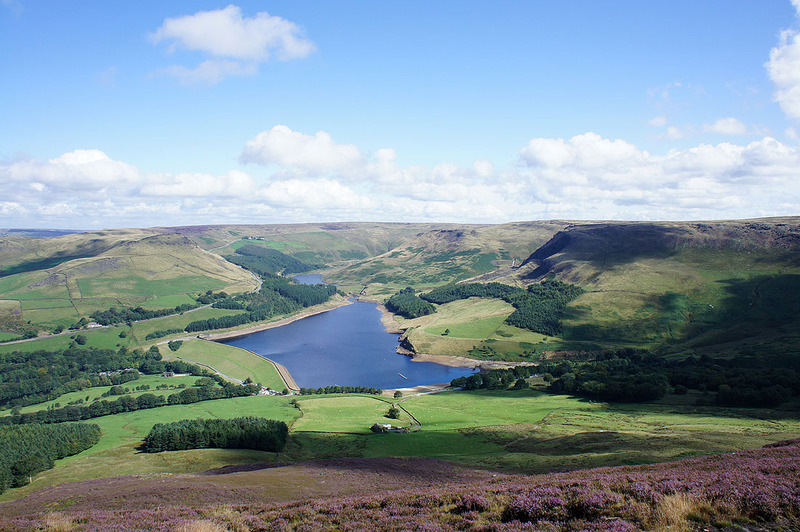 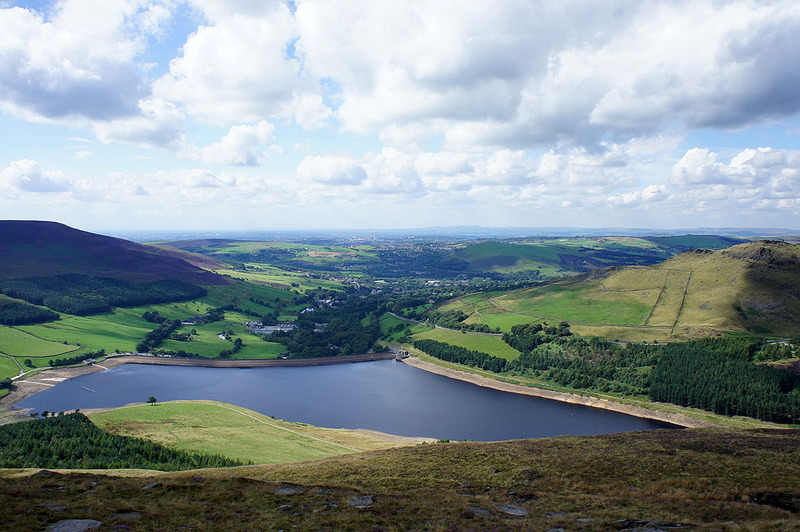 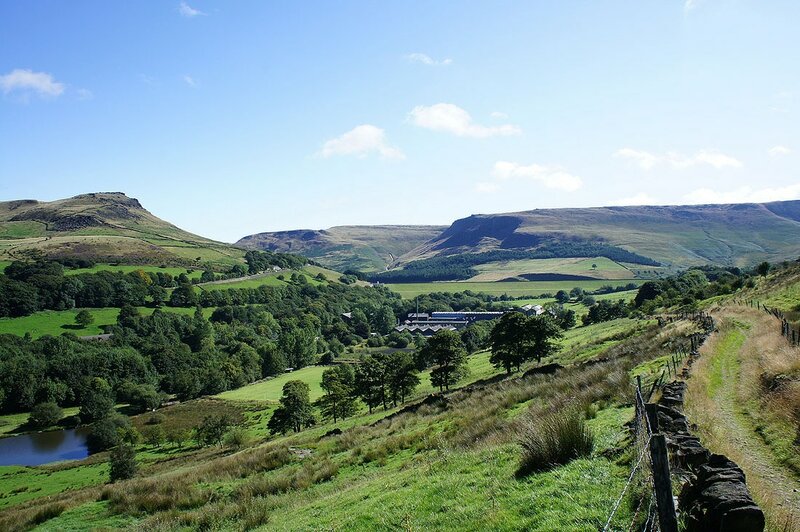 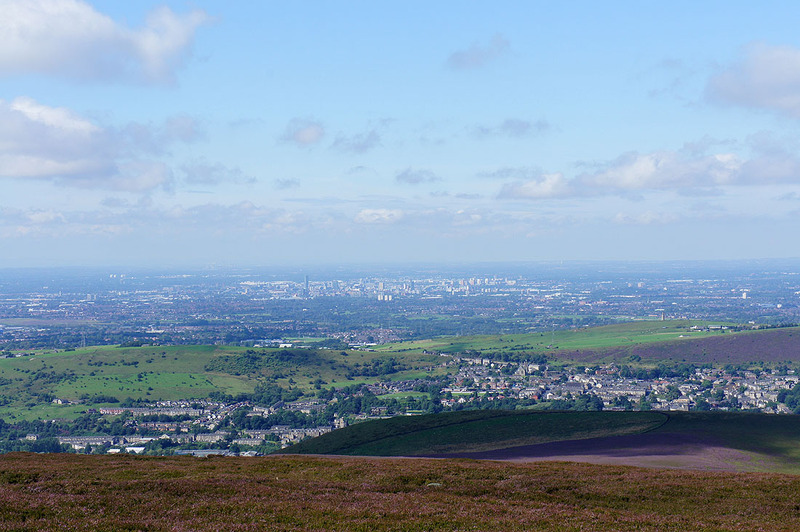 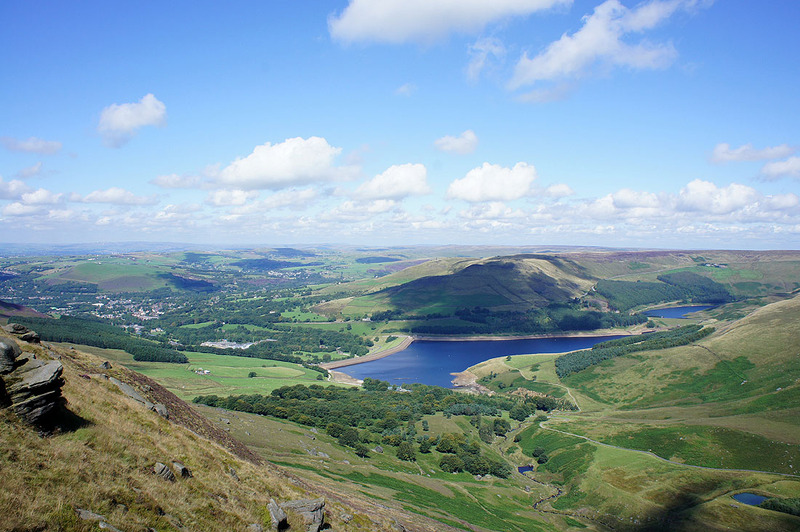 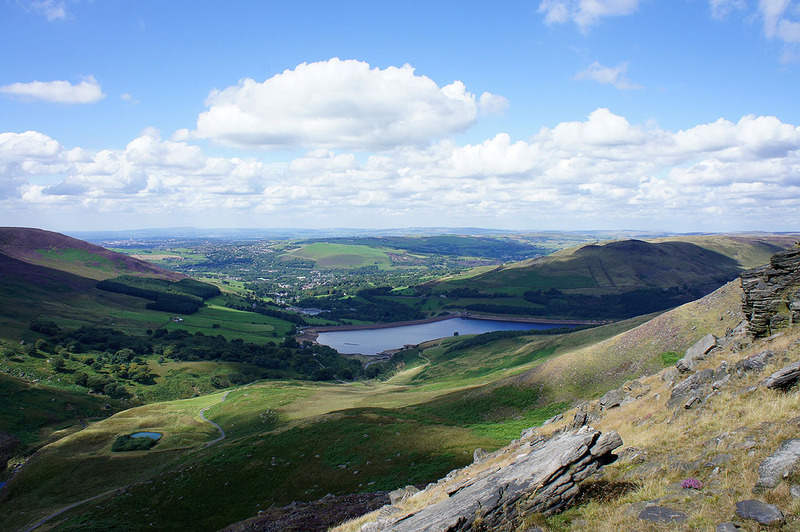 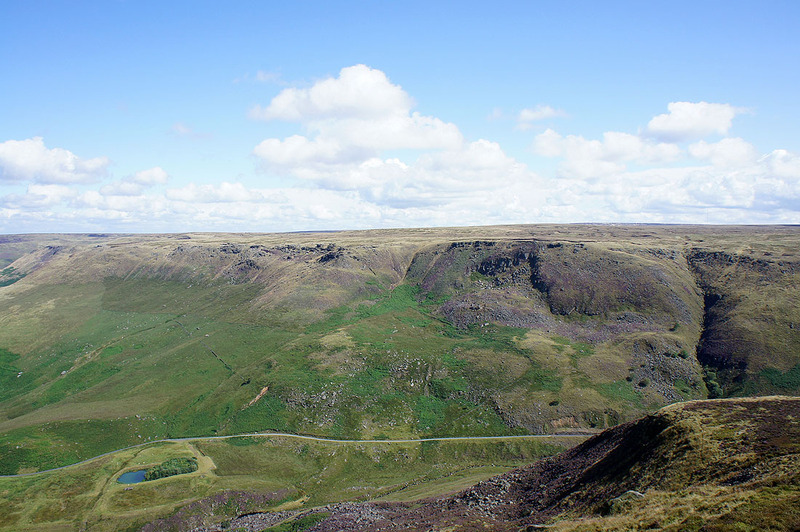 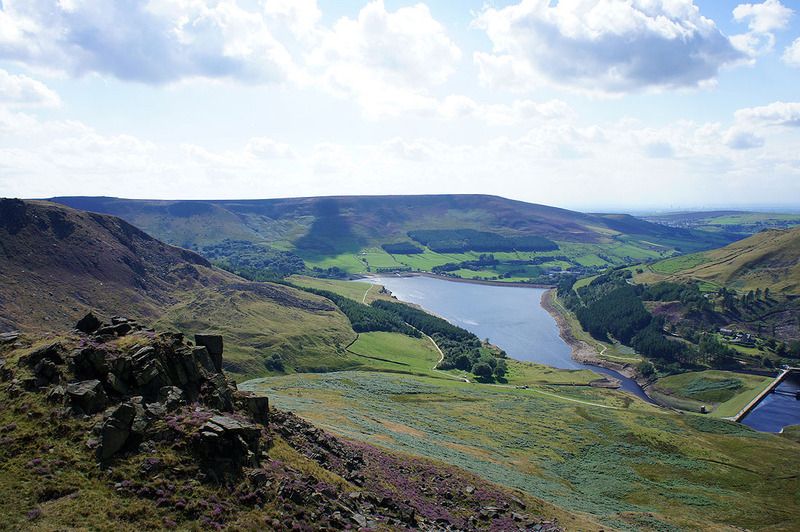 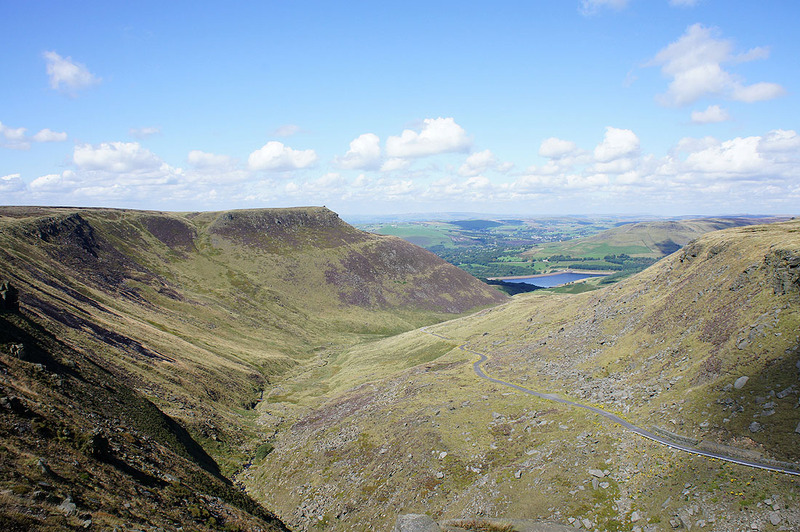 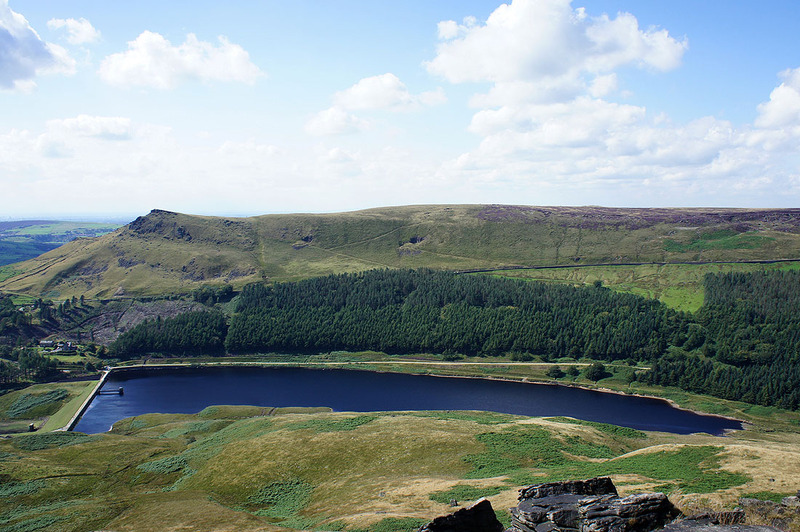 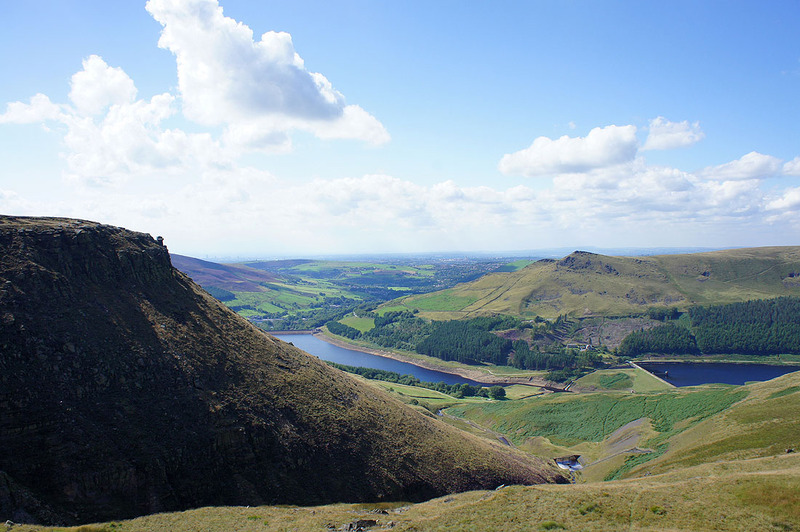 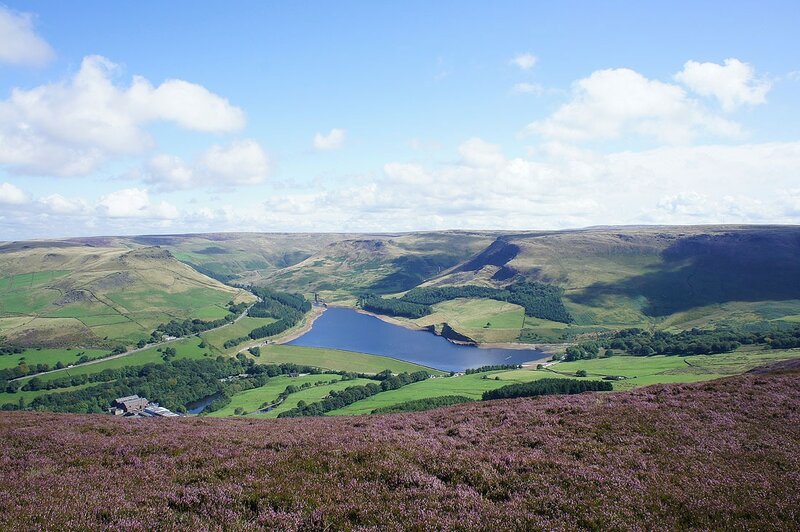 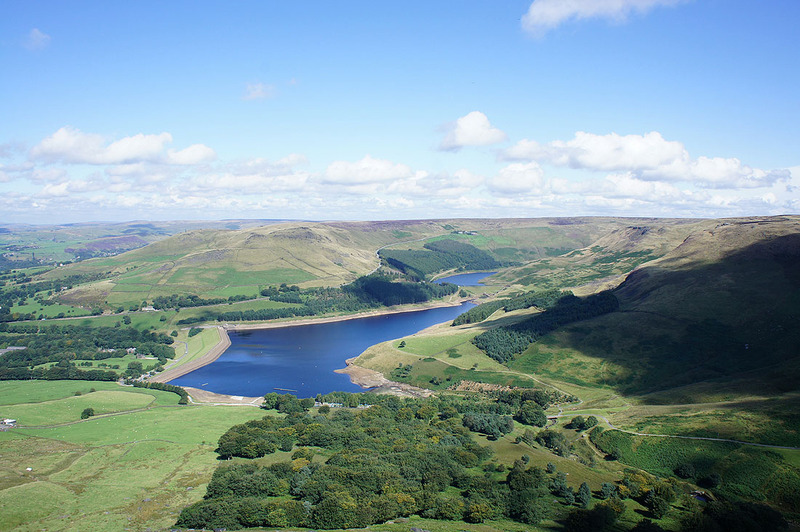 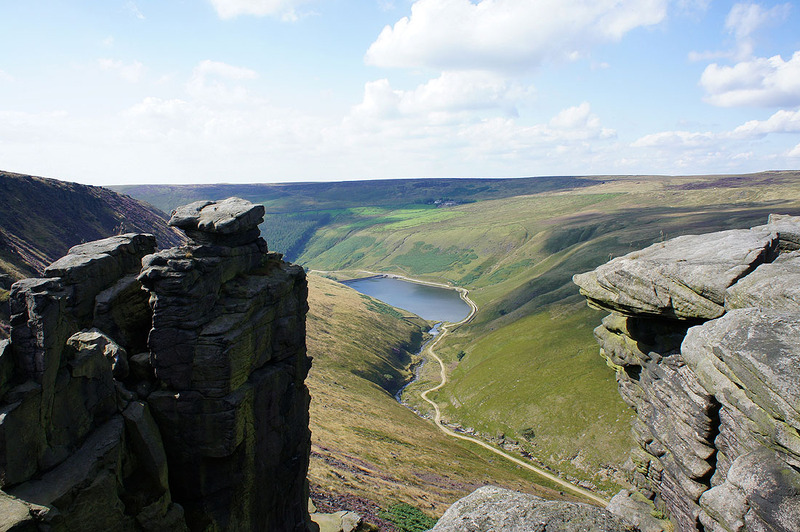 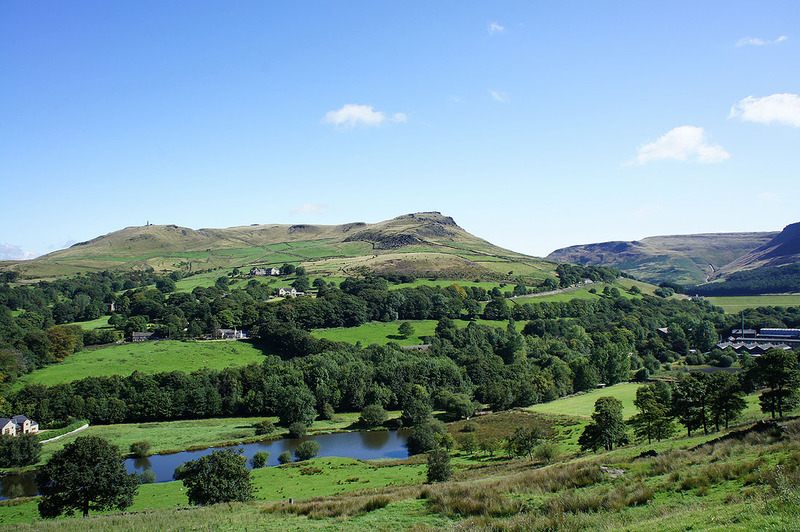 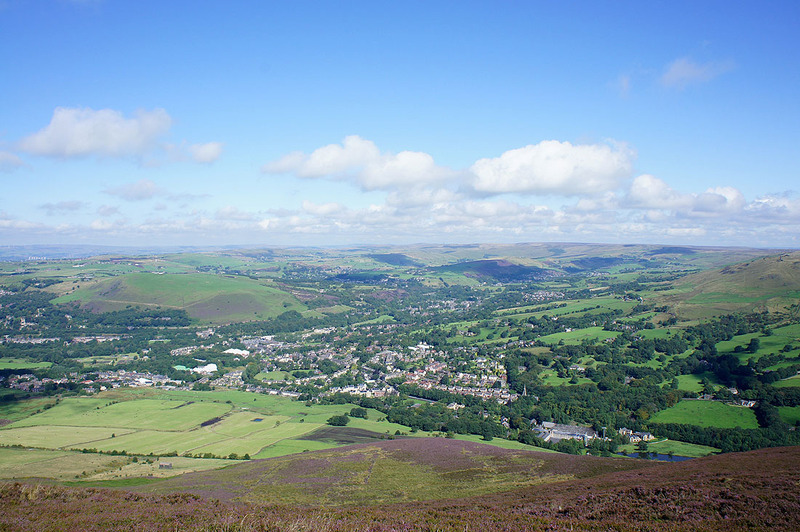 The villages of Saddleworth below.. 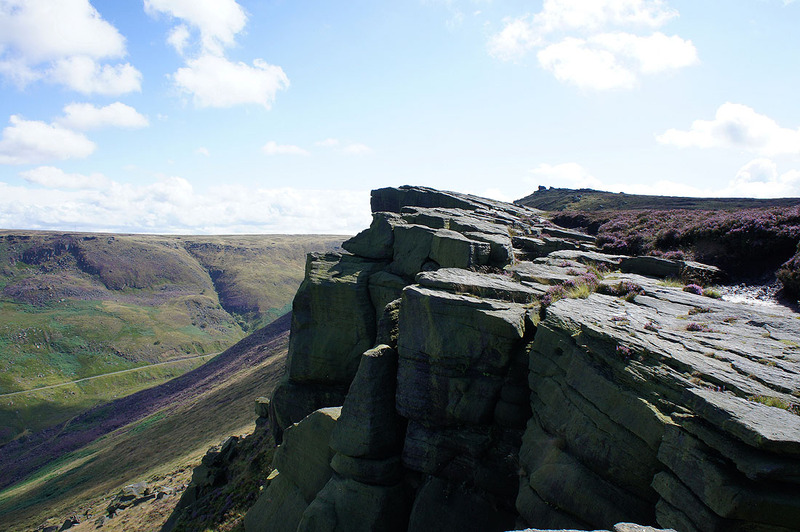 Above Stable Stones Brow. 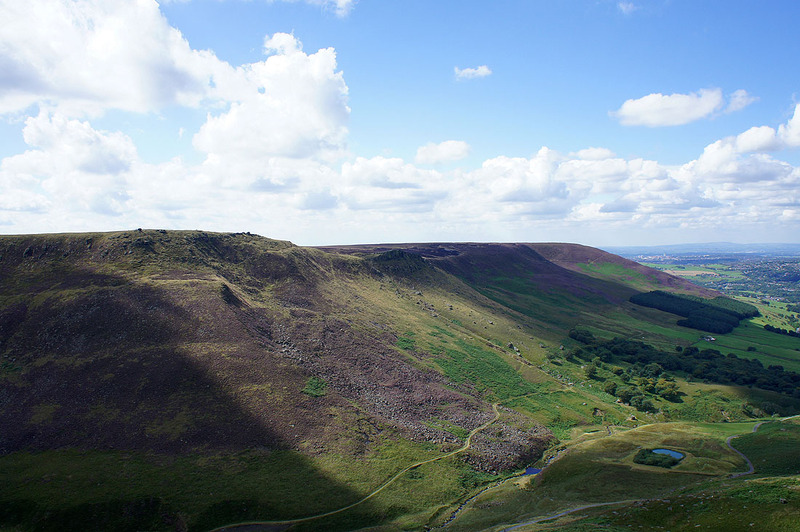 The view back to Alphin Pike and Wimberry Rocks. 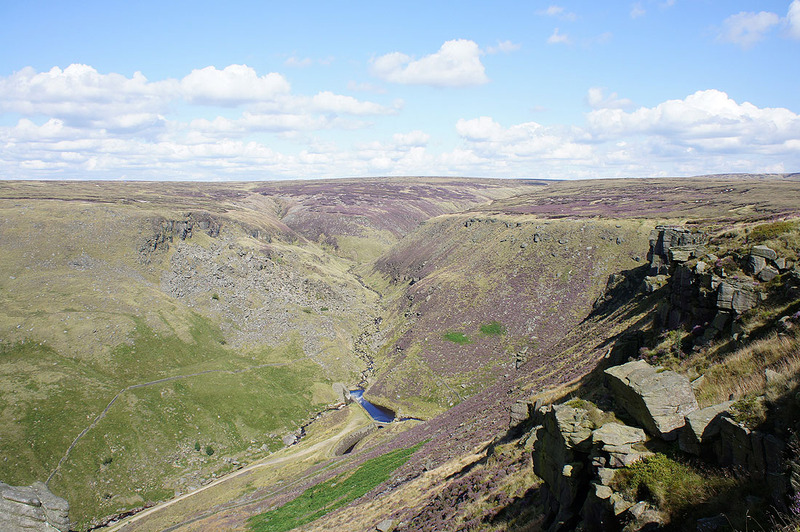 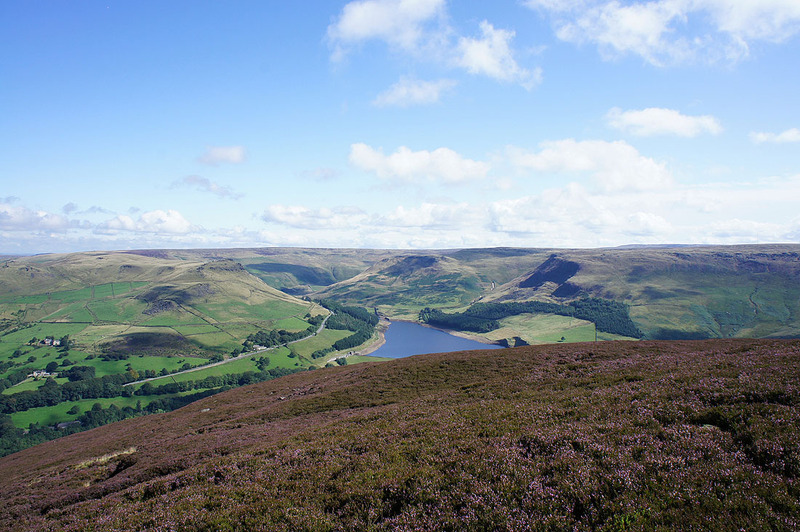 Views of Chew Brook valley on the way up to Chew Reservoir..